Do you want to help save the Chinese White Dolphin? Together we can protect their core habitat. 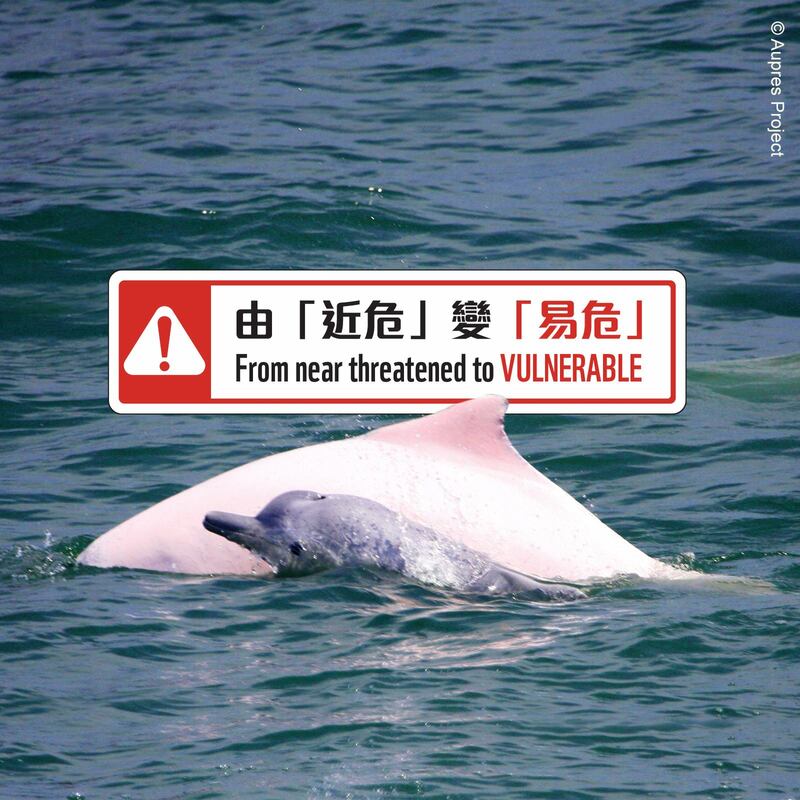 The latest annual dolphin monitoring report published by the Agriculture, Fisheries and Conservation Department (AFCD) indicates that between April 2017 to March 2018, only 47 Chinese white dolphins remained in Lantau waters, a drop of 27 per cent compared to data in 2015. Habitat destruction from coastal reclamation and busy marine traffic are the top two threats affecting their distribution, abundance and behaviour. In the project’s first phase, nine hydrophones have been deployed in West Lantau, South Lantau and around Sokos since the middle of 2018. Data including dolphin sounds, various vessel noise and from other fish are being recorded continuously and analysed, to help us understand their day and nighttime distribution, behaviour, and how they are potentially being affected by human disturbances in the area. From the data collected in the initial months, vessel noise recorded in West Lantau is less than those in South Lantau. As Chinese white dolphins (CWD) spend their time in West Lantau feeding and socialising both day and night, the area potentially serves as the CWD’s core habitat and safe haven. However, this important area remains unprotected under current legislation. Both CWD and finless porpoise visit South Lantau, but only for short periods of time. Being close to the navigation channel make it a very noisy area, where noise from high-speed and other types of vessels can even mask the whistles from cetaceans (see video). In addition to the risk of collision, Noise from marine traffic also interferes with the echolocation that cetaceans rely on for hunting, communication and navigation. Heavy marine traffic also increases the risk of collision. Although the government has designated additional marine parks in the coming years, none of them covers the West Lantau area – the core habitat of CWD based on our hydrophone study. Apart from the continuous threat posed by heavy marine traffic, there are two new threats facing cetaceans in South Lantau: reclamation works for the Integrated Waste Management Facilities (IWMF) and pilling works to be carried out to construct the Liquefied natural gas (LNG) platform, further threatening cetacean survival in the area. WWF will continue using hydrophones to monitor the cetacean population and threats posed to it. Through results provided from this study, we will keep up our advocacy work to convince the government to designate West Lantau, the remaining dolphin core habitat, as a marine protected area, and address the threats to cetaceans posed by marine traffic.